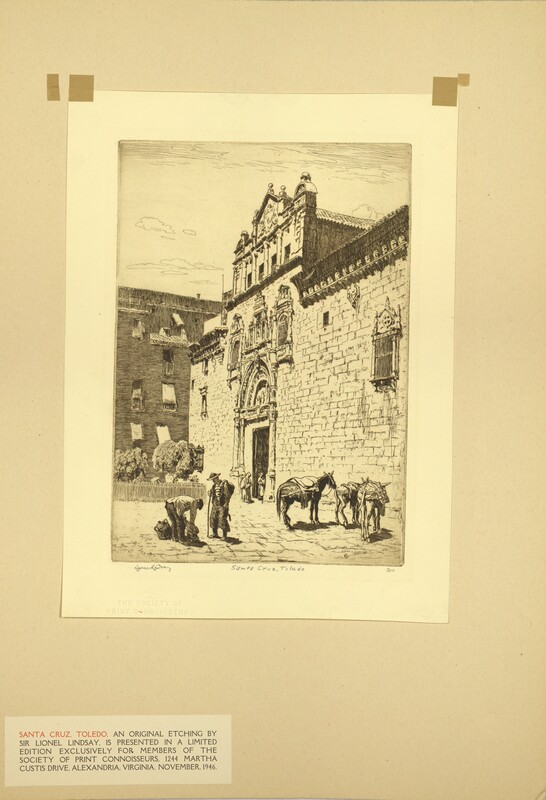 Etching titled, "Santa Cruz, Toledo" featuring a street scene with men and donkeys. Matted and unframed. 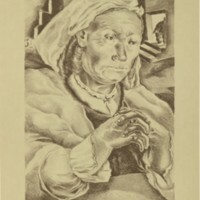 Embossed with "The Society of Print Connoisseurs" at the lower left. Also signed in pencil by the author at the lower left and numbered 200 at the lower right. 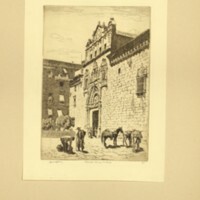 Lindsay, Lionel Arthur (Sir), “Santa Cruz, Toledo,” Digital Exhibits, accessed April 19, 2019, https://cuexhibits.wrlc.org/items/show/58.